Having a defibrillator available in case someone needs it should be an important priority for businesses, nowadays. Although there are no laws that enforce the provision of a defibrillator in the business environment, it is actually vital that owners provide such a piece of equipment in order to ensure public health. What exactly is a defibrillator? A defibrillator is actually a device that can restore the normal pumping of the heart in case a stroke or a severe drop in blood pressure occurs. This is achieved by the sending of an electric signal to the person in need via the special electrodes of the device. The equipment will not send the signal if it cannot detect an abnormality in the heart rhythm. It is true that nowadays, the most common cause of death in adults is associated with heart issues. Providing immediate emergency attention when such a condition happens can be the only way of surviving. 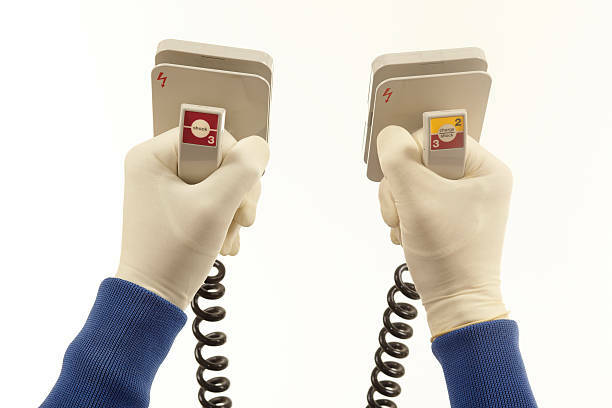 It is estimated that almost half of such episodes are fully restored if defibrillation is given within the first five minutes after the collapse of the victim. Why should a business invest in a defibrillator? Having at least one defibrillator available on site can really save the life of an employee. A common misconception among people nowadays is that a heart stroke or collapse can occur only in older people. That is actually not true. A cardiac arrest can occur to anyone, no matter the age, gender, fitness level or ethnicity. Moreover, there are no early signs that a sudden cardiac stroke will happen. We only know, that when this happens, early treatment can guarantee better chances for the victim to survive. Business owners may wonder about the training someone needs in order to be able to use such medical equipment. The truth is that modern defibrillators are extremely easy to use and they provide audio instructions that head the users in the right direction of properly applying and performing the emergency first aids task when someone needs it. Apart from the practical reasons that prove the necessity of a defibrillator in every business, there is also, the fact that such an investment shows that the business has a profile that ensures public health and safety. This can improve a lot the business’s image to the outside world and make it appear as a company that wishes to raise awareness concerning such a common health issue. It is true that around 30,000 people every year suffer from a sudden heart stroke that usually leads to fatal results if proper treatment is not applied immediately. Defibrillators are the only available devices nowadays, that can be used with safety by everyone around and that can save a human life. Although their presence in businesses is not currently enforced by any office device. The benefits of such an investment in the future will surpass any expenses. After all, nothing can be more important than saving a human life.